I was invited to a tasting at 45 Degree Bubble Tea House by fellow foodie Eat with Mao. With the boom in bubble tea shops over the last 2 years, I was excited to see what this one offered as they are independently owned. 45 Degree Bubble Tea House is located in Coal Harbour on Pender and Broughton Street. It’s on the same strip of stores as Soirette. The area is more residential and there’s less foot traffic in this area. This entry was posted in Cafe/Bakery and tagged bubble tea, waffles. Thanks to ChineseBites, I had the opportunity to visit Firebird Cafe with fellow blogger Sophia (Everyday Is a Food Day) and our respective +1’s. If you can recall, it is in the same location that Deer Garden used to be in Continental Centre. Firebird Cafe also happens to be serving the same kind of food as Deer Garden i.e. noodle soup and HK style cafe food. The interior looks the same as Deer Garden too. You can basically pretend it’s Deer Garden but with a different name. The ordering sheet looked fairly similar to what you would find at Deer Garden. This entry was posted in Asian, Chinese, Food Reviews and tagged bubble tea, deep fried chicken wings, fried chicken, HK Style Cafe, noodle soup. So without further ado… let the gluttony begin! This entry was posted in Asian, Chinese, Desserts, Food Reviews, Japanese, Korean, Taiwanese and tagged bubble tea, bubble waffle, cream puffs, deep fried chicken wings, dumplings, fish balls, food court, pork belly, sandwiches, shaved ice, shrimp wontons, squid, sticky rice. 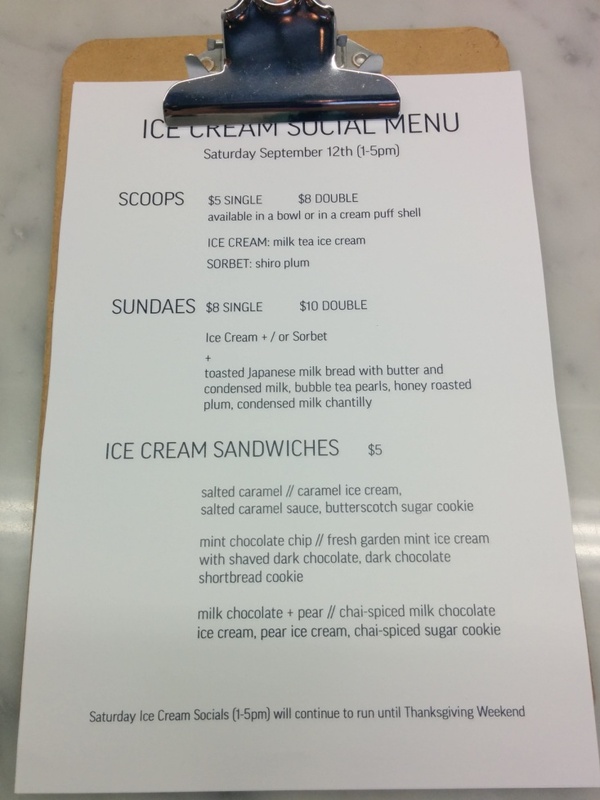 I finally made it to a Beta5 Ice Cream social last month! I’ve blogged about their delicious ice cream sandwiches and cream puffs before but this was my first time at their ice cream social. They have them in the summer on Fridays from 5-9pm and on Saturdays from 1-5pm. Due to their popularity, they sell out much earlier though! 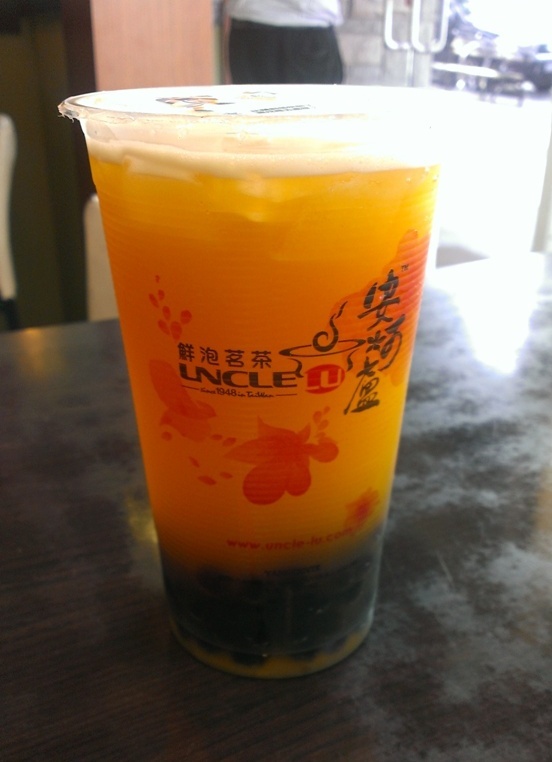 This entry was posted in Desserts and tagged bubble tea, ice cream, milk tea, sundaes. 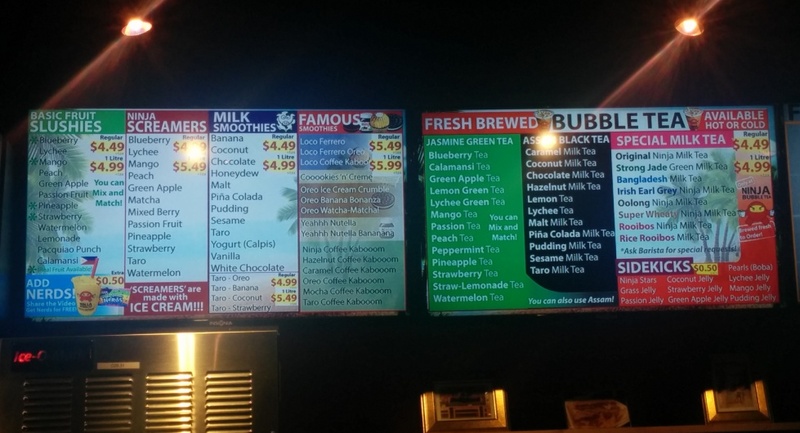 I’ve seen pictures of the 1L bubble tea from Ninja Bubble Tea and that seems to be what they’re known for! They are right next to Santouka on Robson. Besides bubble tea, they also have a few board games for you to stay and play and they also have 2 machines for darts. 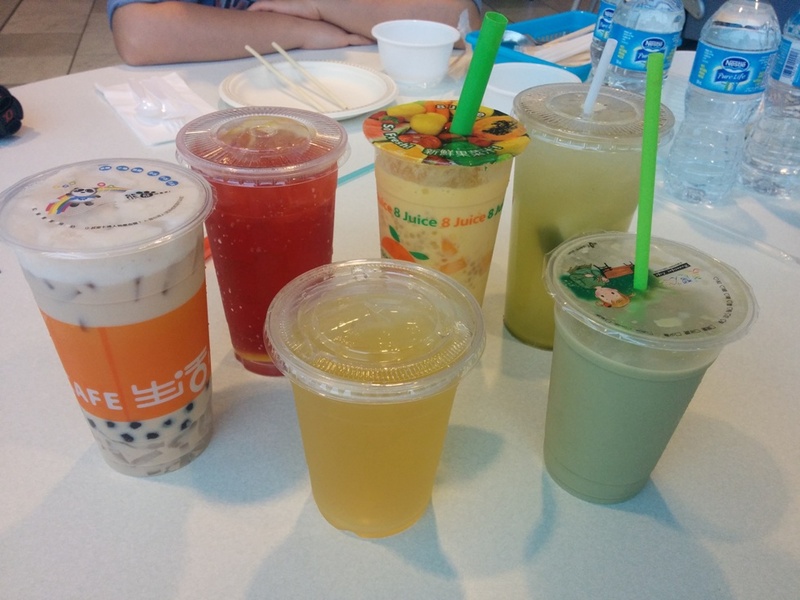 This entry was posted in Cafe/Bakery, Food Reviews and tagged board games, bubble tea. 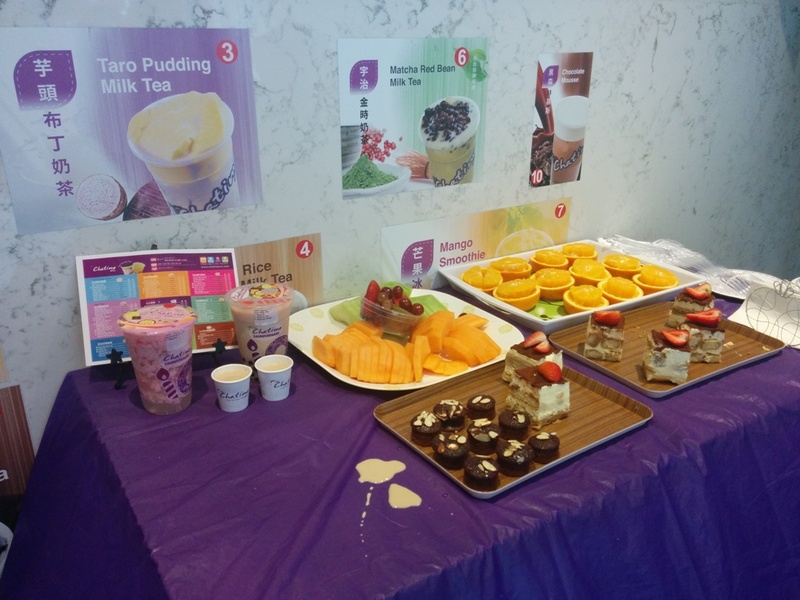 Last week I was invited to the Chatime media event by ChineseBites. They opened up three new locations this year on Robson, Broadway and Blundell Road. I visited the Broadway location for the event and it’s located a few steps away from the 99 bus stop at Granville and Broadway. Chatime is the #1 bubble tea brand in the world with over 1200 locations worldwide! Their tea is brewed fresh in the store and they only use high quality natural ingredients and they don’t use pre-made tea or tea powders either. In fact, they source the tea leaves directly from Taiwan and they even have their own tea farm. 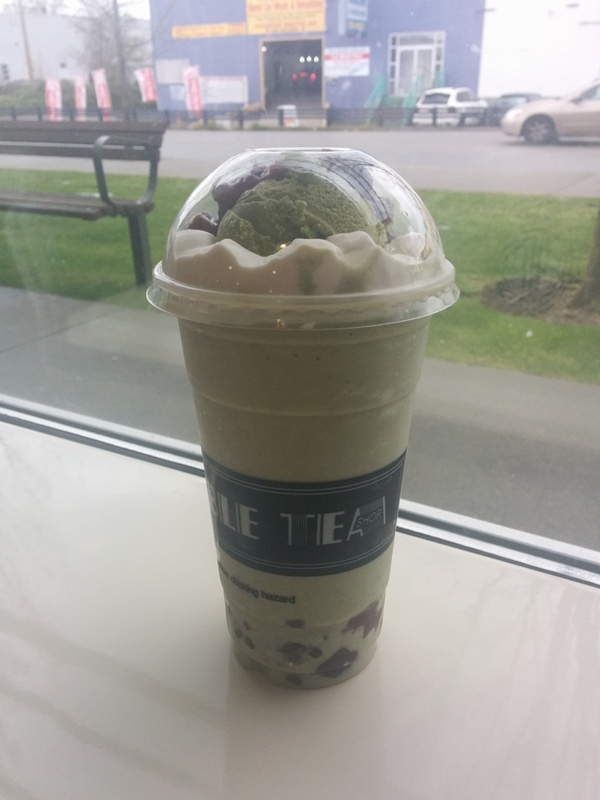 This entry was posted in Cafe/Bakery, Food Reviews, Product Reviews/Events and tagged bbt, bubble tea, Chatime, grass jelly, matcha, red bean. I was really excited when I saw photos of the fancy bubble waffles from the BBT Shop. The BBT Shop is located in the parking lot under Superstore and the location is pretty convenient and there’s always parking! I also grabbed a great window seat for photos. Ok well… the photos still aren’t that great just so you know! This entry was posted in Cafe/Bakery, Desserts and tagged bbt, bubble tea, bubble waffle, green tea ice cream, matcha, red bean. Leisure Tea and Coffee is a popular bubble tea and hang out place on Alexandra Road. The outside never looked particularly interesting and it just never stood out to me. It’s located in a corner next to Old Buddies Seafood Restaurant. The inside is long and narrow with wooden chairs and tables. The counter where the staff make the food and drinks is adorned with many porcelain teacups. The menu has sweet desserts like crepes, blueberry pie, scones and the cake of the day as well as savoury snacks, sandwiches and waffles. 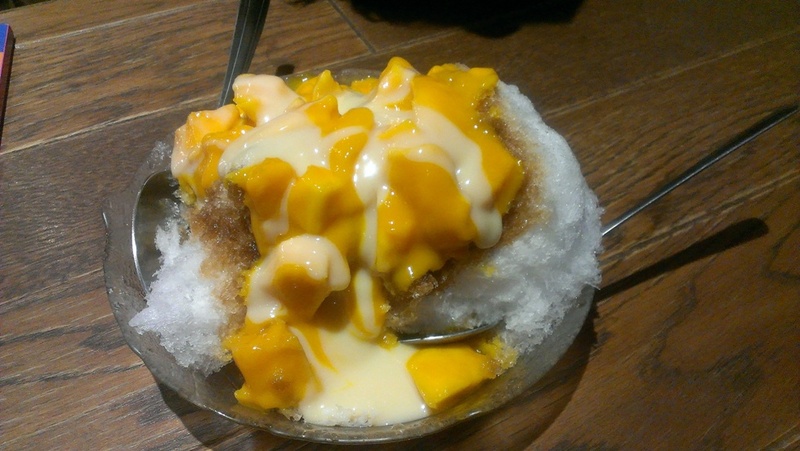 We all shared the Fresh Mango Icy which was shaved ice with mango and condensed milk. I love condensed milk and mango so this was the perfect combination and desserts are tastier with condensed milk! My friends said the portion seemed smaller than before though. The portion was still good for sharing between 2-3 people. This entry was posted in Desserts, Food Reviews and tagged bubble tea, desserts, shaved ice.